Chris Martin and actress Gwyneth Paltrow married in 2003 had two kids and famously “uncoupled” in in 2014. In the height of their marriage Paltrow tattoo’d Chris’ initial “C” just above her bikini line. 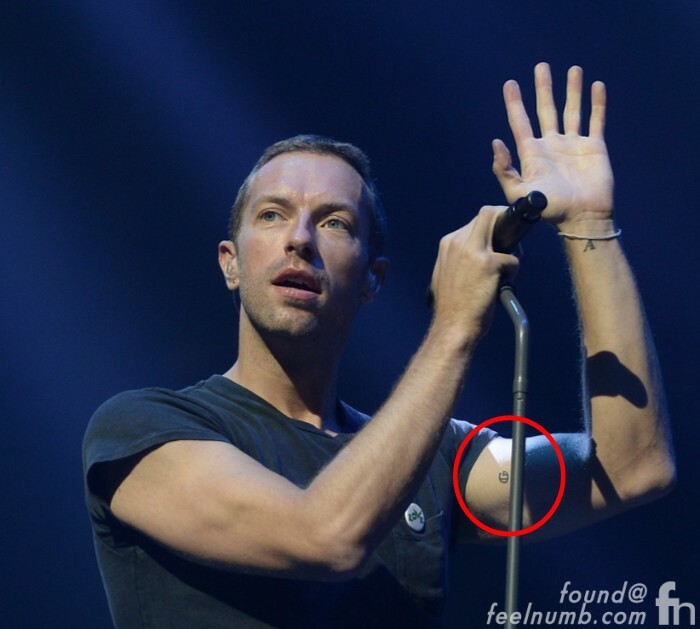 In return, Martin tattoo’d the initial “G” on the inside of his left bicep as a tribute to his wife. As with most couple tattoos, when thing go sour you need to figure out how to cover it up. Similar to when Johnny Depp changed his “Winona Forever” tattoo for Winona Ryder to “Wino Forever”, Martin got creative and used the “G” that was already inked in his skin to spell out GOD IS LOVE.